Here in the Philly suburbs we are hunkering down for a semi-decent snow storm. As we get closer to the storm though the estimated snow fall keeps getting lower and lower (boo) but it sounds like we should still get about 6-9 inches. Hopefully still enough for me to get to stay home and from work and enjoy some time beading! I've actually been fighting a bad cold for the past few days so I haven't been doing much of ANYTHING so I am hopeing that A: it snows enough to keep me home from work and B: that this cold will be gone enough so I can do something beside lay around and do nothing hah. Before I started feeling crappy I did have time to play around with some new component's from Prima Bead's new Neon Pop collection which I am just obsessed with! 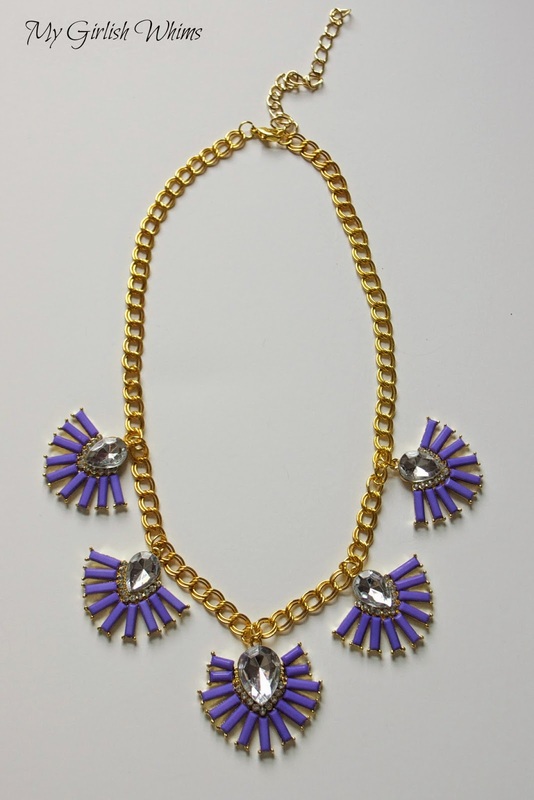 All of the compenents are statement pieces and so on trend with today's fasion. 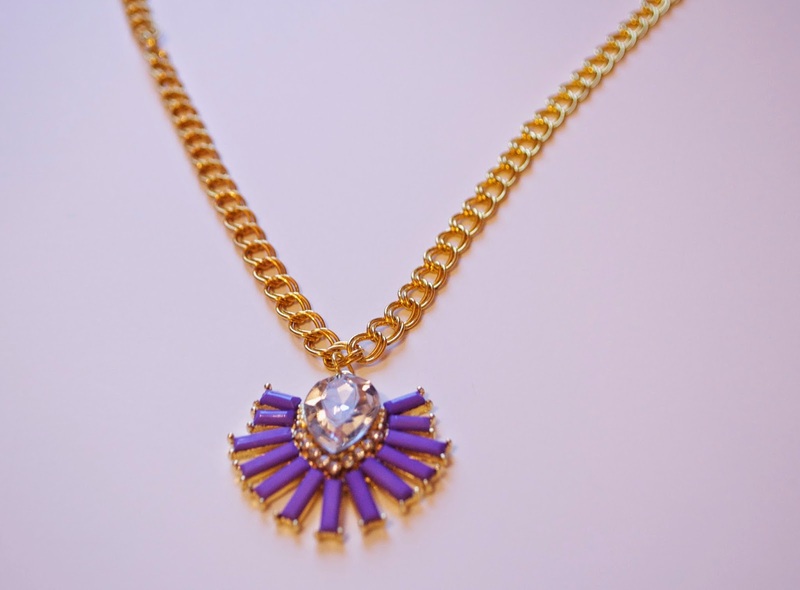 Lucky for you, this necklace is easy peasy to make. First things first, find the center of your gold chain. 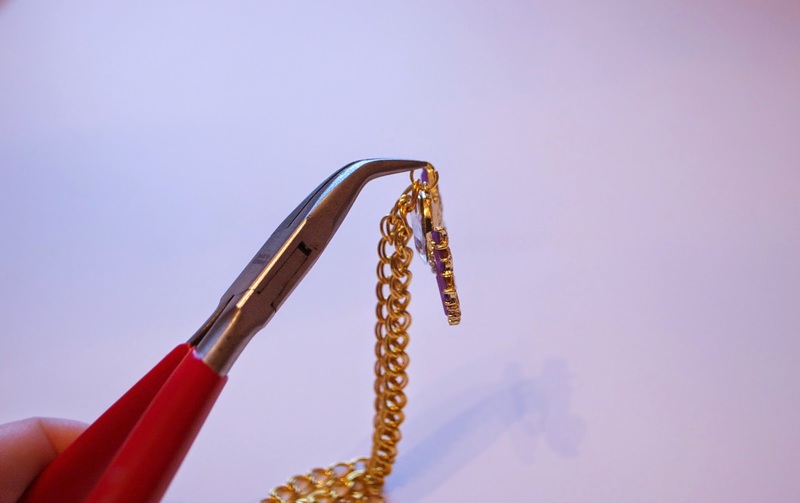 Open a jump ring using needle nose pliers and string on the large purple charm bead. 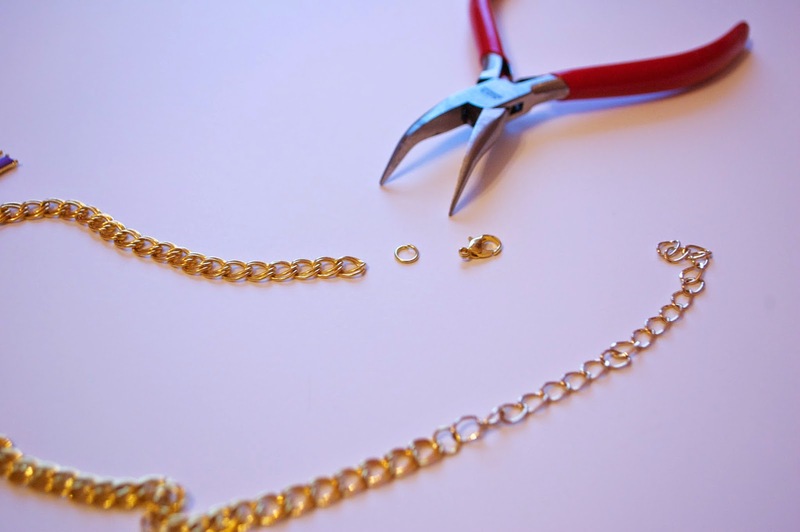 String the jump ring through the center chain link and close again using pliers. I love this style, I think it's just a little preppy and a lot of fashion. A great combo if you ask me! I still have a couple extra pieces from the collection left to play around with...keeping my fingers crossed that snow storm Juno will give me that opportunity this week!!! Why would you post a tutorial that requires charms that require being a wholesaler to buy?